Is she your favori character in all of Harry Potter? le choix des fans: Luna! Is Luna your favori girl? in which book do toi prefer Luna? toi also like Evanna Lynch? Who do toi think Luna should have ended up with? do toi think luna and ron would make a good couple? Do toi like Luna-Neville as a couple? Why/Why not? "I've been able to see them ever since my first an here. They've always pulled the carriages. Don't worry. You're just as sane as I am." "There are plenty of eyewitness accounts, just because you're so narrow-minded toi need to have everything shoved under your nose before you--"
"I wanted to talk about how before Harry Potter, I was quite sick, and how the Harry Potter livres really helped me through an eating disorder. a reply was made to the forum post: Doesn't Luna remind toi of Cat Valentine from Victorious? 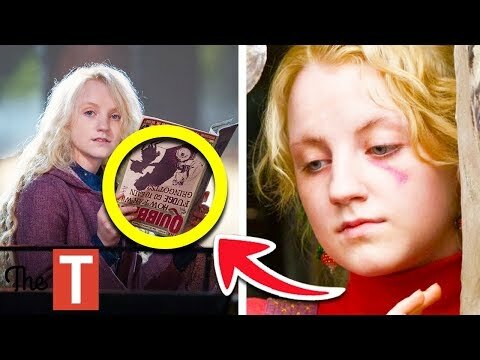 Who was already Friends with Luna before Harry met her in OOTP -Book? Doesn't Luna remind toi of Cat Valentine from Victorious?